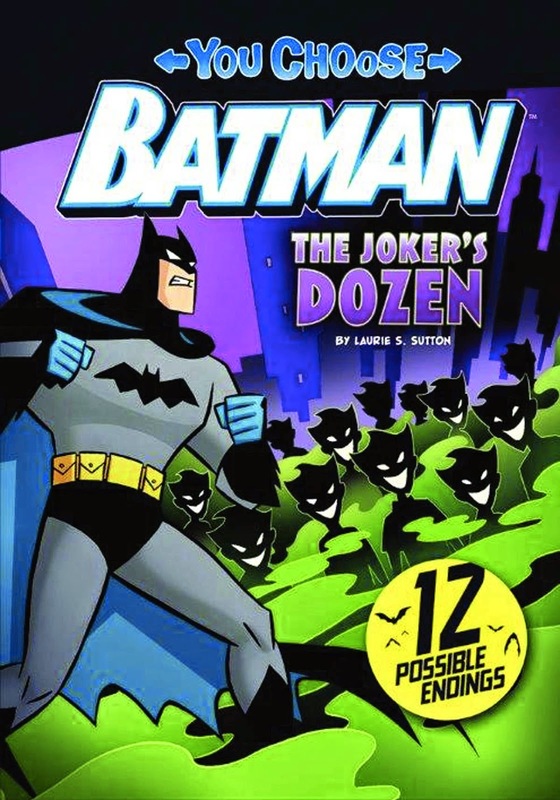 The Joker's Dozen is a Net Galley review. This is a pick-your-path style book with 12 different endings to your story. The main story is where the Joker uses a bunch of laughing gas on the people of Gotham to make them look like Jokers and commit. Batman has to figure out how to help the people and you have to choose if he goes to the water plant, the gem museum, or tracks down hostages. After you make your first choice, you make more choices to continue the story. You have to make wise choices because the Joker always has more tricks up his sleeve!!! I really like the you-choose books because you get to choose your adventure instead of an adventure already planned out. I read them lots of times to try out the different choices. I love that this book was about Batman and the Joker and I hope they come out with another one with a different villain next time!